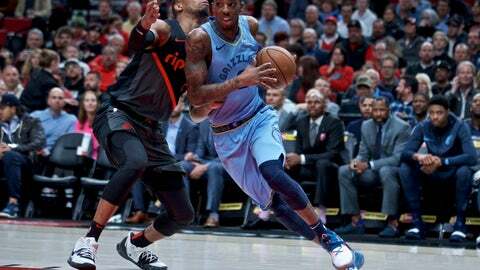 After Turner got his ninth assist late in the fourth quarter against the Grizzlies, teammate Jake Layman appeared to shout “One more!” from the bench. He clinched the triple-double a short time later with an assist on Anfernee Simons‘ 3-pointer with just under two minutes left. He added one more assist before subbing out. Grizzlies: Rumors abound that Grizzlies assistant Jerry Stackhouse is in the running for the job as head coach of Vanderbilt. … Conley was out with left ankle soreness and Noah had right knee soreness, according to the team. “We’re down a lot of bodies right now so we’re just trying to go out there and fight and compete the best that we can,” Tyler Dorset said afterward. Trail Blazers: The Blazers had split their previous 10 games with Memphis. … It’s the 14th time in franchise history that the Blazers have reached 50 wins. … Zach Collins finished with a career-high 18 points.